The beautiful Stirley Community Farm is an amazing project showcasing how farming and nature can work together. 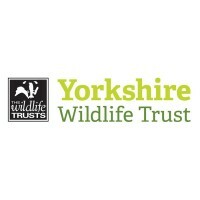 There’s some amazing wildlife that calls West Yorkshire home and we want to tell everyone! Stirley Community Farm runs regular events from education sessions with local schools to public events. We need passionate, inspiring volunteers to share the wonders of nature, farming and food with others. You’ll be assisting staff with the smooth delivery of our events for education groups and families and helping to ensure people have a fun and memorable time with us. You could be amazing children with where their food comes as we’ve got everything from carrots to beef on the farm; you’ll teach them about healthy eating and even cook some tasty treats with the groups, so they get the whole farm to fork experience. There’s always plenty to get stuck into, with all kinds of events where you can be creative, share your passion for farming and wildlife and have a great time while volunteering. If you’d like to find out more before applying for this role, we are holding a Volunteer Open Day at Stirley Community Farm on Sunday 10th February 2019 12noon-2pm. This is a drop event. Or you can call 01904 659570 or email volunteering@ywt.org.uk for more information.